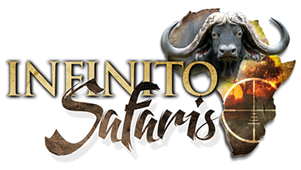 The following information is for the first time visitor as well as the experienced hunter visiting Africa for a Safari with Infinito Safaris. Proceed to parking lot, OR domestic flights for further travels to other areas. 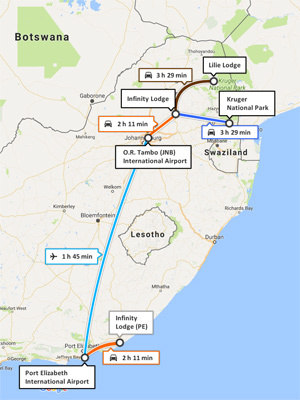 Most of our hunting areas are only a 2-3 hour drive from Johannesburg airport. 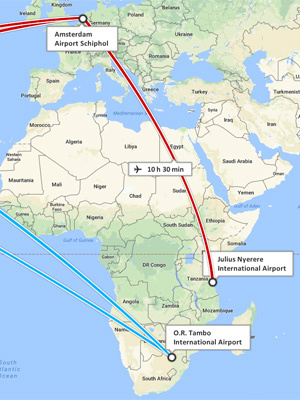 Others are 4-5 hours away and another 10 hours! 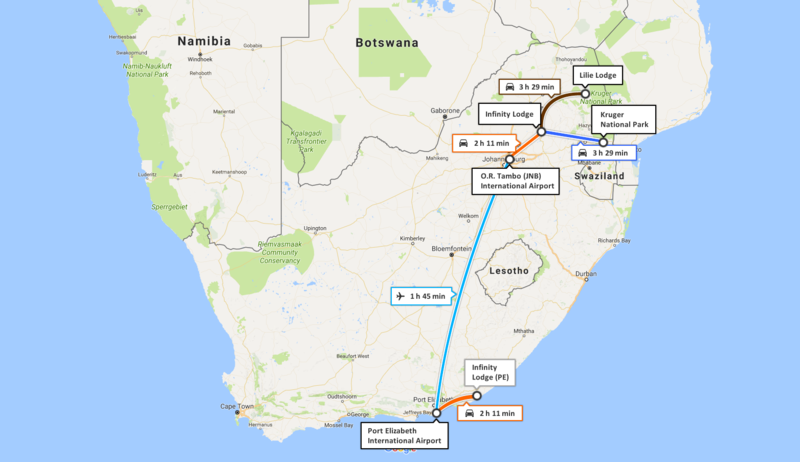 Domestic or charter flights are available as an alternative to these long drives…. Our modest fleet of vehicles consist of modern, new model, air conditioned vehicles. You will have time to take in your new surroundings, refresh, and settle in. En-suite bathrooms with at least a shower, toilet and wash basin. Bed side table and lamp. All camps/lodges have a living area where guests can relax to read or just enjoy the quite. Some camps have entertainment in the living area, like music, television and DVD sets, etc. We dine in style even in the bush. Sit down, table meals, with waiter staff looking after your needs. All camps are inspected by the tourism authorities of South Africa every three years, to inspect the standard of service and accommodation that is required by the relevant departments. PLEASE TAKE NOTE that most women LOVE South African Safaris. This is covered under Plains Game and Dangerous Game hunting on this web-site! We have our own Dip and Pack facility. This ensures the cheapest and best way of getting your trophies to the USA. We are partnered with various respected Taxidermists from all over the USA, and will gladly refer you to their service! Cash stays king and we always advice hunters to bring some USD with them. You came as a stranger and now leave as a friend. We drop you off at the airport, and make sure you are in the right places, before saying goodbye. 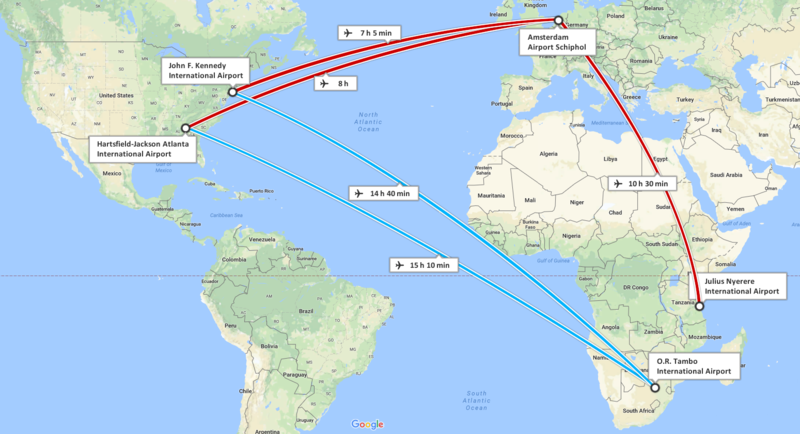 Extra tours prior and after your hunt? You inform us what you would like to do and where you would like to go, and we will quote you! Up to you and our staff knows that! A good guideline would be about $400.00 per person for all the camp staff on a 7 day hunt. Professional Hunters are tipped by the client and it is a personal thing. You are 90% of your stay in the middle of the bush, miles away from any humans. A questionnaire will be forwarded to you so that we know what your preferences in your diet are. This is also important as we need to know about any allergies you might have.